NASCAR announced a number of procedural adjustments today, with changes in the size of race fields, qualifying procedures and restarts. 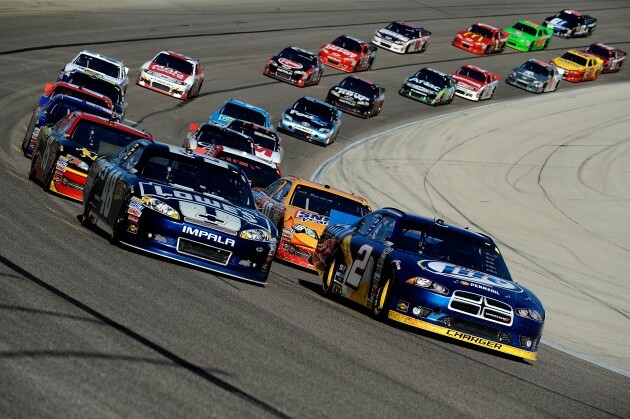 Race Fields/Points: In the NASCAR Sprint Cup Series, 40-car fields will now be the order of the day, with 36 Charter team cars and 4 Open team cars comprising the field. Race winners will now be awarded 40 points (instead of 43), with 40th place awarded one point. NASCAR XFINITY Series fields will also include 40 cars, with an identical points structure. In the NASCAR Camping World Truck Series, a maximum 32-truck field will be used, with the race winner awarded 32 points and 32nd place awarded one point. Existing 2015 bonus points for winning, leading a lap and leading the most laps will remain in place for 2016. Daytona 500 Qualifying: Qualifying for the 2016 Daytona 500 will feature 36 Charter teams, with the remainder of the “Open entries” racing for one of four starting spots. The highest finishing Open team in each Can-Am Duel race earns a starting position, with the final two “Open” positions going to the teams that post the fastest times in Coors Light Pole Qualifying. As always, Time Trial qualifying will determine the front row for the Daytona 500, and the starting lineup for the Can-Am Duel, with the number of Charter and Open cars split evenly between the Duel races. If time trials are cancelled due to weather, the top two Open teams from each Can-Am Duel race will earn starting positions in the Daytona 500. If only the second Can-Am Duel race is cancelled due to weather, the highest finishing Open team from the first race earns a starting position, with the other three Open teams determined by qualifying. If qualifying and both Can-Am Duel races are cancelled due to weather, combined practice speeds will be used to determine which four Open teams make the Daytona 500 field. If all on-track activity prior to the race is cancelled due to weather, 2015 Owner points will be used to determine the four Open-team qualifiers. Remaining Championship Races: In all championship events other than the Daytona 500, 36 Charter teams will receive guaranteed starting spots, with four Open teams receiving starting positions. Time-trial qualifying results will determine the Open team starting positions, assuming the event is run as scheduled. If qualifying is cancelled due to weather, combined practice speeds will be used to determine which four Open teams make the starting field. If practice and qualifying are cancelled due to weather, owner points will be used to determine which four Open teams make the starting field. In the first three races of the season, 2015 owner points will be used. Beginning with Race Four of the season, current (2016) owner points. There will be no Past Champion’s Provisionals in 2016, or going forward. Restarts: NASCAR will mandate just one green/white/checkered flag restart again this season, with the addition of a new “overtime line” to govern late-race restarts. The line will be painted in different locations depending on the size and layout of the track, but NASCAR Executive Vice President and Chief Racing Development Officer Steve O’Donnell told SiriusXM NASCAR Radio today that in most instances, it will be placed midway on the backstretch. After the green flag flies on an overtime restart, the leader must cross overtime line in order for the restart to be considered a valid G/W/C attempt. If the caution flag is displayed before the leader passes the overtime line, the attempt will not be considered valid, and a subsequent attempt will be made. If a caution flag flies after the leader passes the overtime line, the field will be frozen, the race deemed official and the checkered/yellow or checkered/red displayed at the finish line. No additional attempt will be made. O’Donnell said the so-called “Restart Zone” will be retained from last season, with no changes in procedure. He added that NASCAR will continue to assess penalties when needed against drivers who jump early or lag back in an attempt to manipulate restarts. There will be no maximum number of G/W/C restart attempts this season. And Finally: O’Donnell said that at the end of the nine-year charter term, NASCAR will review the 36 charter holders based on performance. The sanctioning body has “built-in clauses with existing charter holders” outlining attendance and performance expectations, and O’Donnell indicated that perfect attendance will likely be a high priority. Asked whether teams still be allowed to field a fifth car in a limited schedule of races for a planned, next-season Rookie of the Year contender, O’Donnell said the sanctioning body expects to announce a policy “very similar to previous years” in the near future. O’Donnell confirmed that Brian Vickers has been medically cleared by NASCAR to participate in Speedweeks 2016, and will be allowed to compete in Saturday night’s Sprint Unlimited at Daytona. Vickers is expected to be announced tomorrow as the interim driver of the #14 Chevrolet at SHR-- replacing the injured Tony Stewart -- and while not technically eligible to compete in the race, he has been granted a waiver by NASCAR to do so, as long as he drives for SHR. So, no past champs provisional? Looks like this also eliminates the 'provisional' starters. And to me, this system discourages new owners and/or drivers from joining the sport if there are only 4 at-large spots available per race. I think we will still find people to try to make the 40 car field with the provisional spots. The bigger question right now is weather teams like Tommy Baldwin Racing really improve this year in the average finish. Please clarify. How many GWC restarts. From what I can gather it could be as many restarts as necessary. That can get messy, very messy. As many attempts as it takes to get the leader past the new "overtime line" on the backstretch. SO even though Edwards and Kurt Busch have done well they have to race their way into the field every week. How their teams weren't awarded charters is beyond my comprehension. Yes I know, NASCAR wants to make the field 'more competitive' but if they just stopped monkeying around and let the racers race maybe they'd get some of their lost popularity back. Nah, not under Brian France. Right now Carl Edwards and Kurt Busch are each going to have a charter that will come from MWR. How much each charter will cost is not known yet. 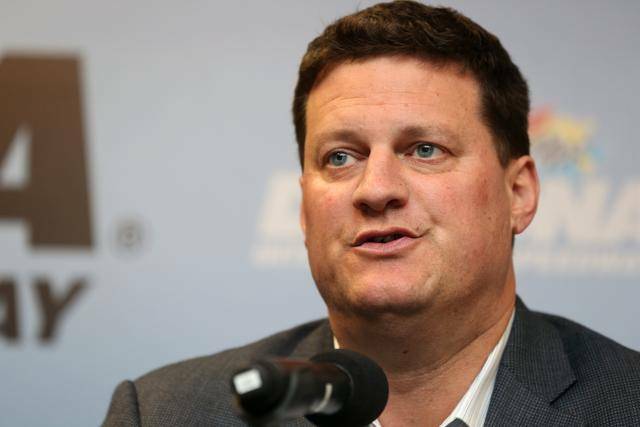 Joe Gibbs Racing and Stewart-Haas Racing are both buying a charter for one of their respective teams from Rob Kauffman, the former majority owner of Michael Waltrip Racing, which met the criteria for eligibility. "The sanctioning body has 'built-in clauses with existing charter holders' outlining attendance and performance expectations,"
I wonder how well Kaufman's MWR charter teams will perform this year. With all the prestige and money guaranteed to the charter teams and all. I bet those MWR Charter teams are finally going get consistent top 5 finishes so they can keep their charters. Oh wait...they gave Charters to the owner of a defunct team. Oh wait, Michael Waltrip didn't get those charters. They gave charters to a guy with a lot of money that was in charge of financing/running a race team . Kaufman's charters continue to make no sense. I'm honestly not a fan of many of the changes NASCAR is doing lately. 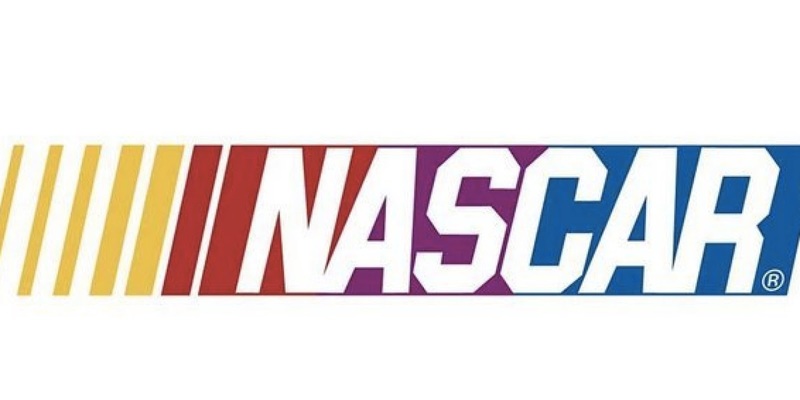 Not just the charter; the shrinking of the race field, scheduled pit stops in the truck series, and continuing to broadcast races on channels that many people don't get. Also I've always been against them racing on Saturday nights. Competes against the local race tracks and takes away viewership. Seems like a "no brainer" on that one. Many of those involved with NASCAR whom have now past must be turning in their graves. If they don't change there ways soon I hope someone starts another racing series that get's back to the old days of NASCAR. Even if it's not stock cars per say. If they make the chace they will have to qualify in 1 of the 4 available spots throughout the 10 races. This could absolutely happen. Open your eyes to this NASCAR before you make yourself look ridiculous. This is the stupidest damn thing I've ever heard of! Why not set the field at 42 and give out 2 more charters to teams that have supported NASCAR since the beginning? Or something?! The Wood Brothers just announced their withdrawal from the RTA. Bend over, boys, NASCAR is going to reward you for all your years of loyalty and hard work! Brian France cares nothing of loyalty. To teams, sponsors, or even NASCAR itself. The fact that Kaufman gets charters and the Wood Brothers are left standing on the outside simply proves that Brian France is interested ONLY in "how rich have you made me lately?" Bill France Sr and Jr cared about racing and wanted NASCAR to grow so that the racing would be better. The money, I believe, was secondary to them. Brian France has proven to me time and again that he's chasing dollars. We've screwed around with the Championship format so that we can say the title sponsor's name a hundred times in every race. They say they value the racing, but only so much as it qualifies you for the title chase. Now we're taking a new charter system, shrinking the field, and giving away charters to former financial backers of cheating teams and leaving one of the founding teams in NASCAR - a team that would rather run partial schedules and preserve their dignity than to participate in the start and park cycle - sitting on the outside looking in. Why? Because they haven't earned Brian France any money lately. "Loyalty, shmoyalty...where's my money?" Racing used to a be a true family. Now it's more like a mob family. Pony up your share to the France-father, or risk not getting his protection. And honestly, given the choice in an owner that loves racing or an "owner" that's looking for a return on his investment. I'll take the owner that's in it because he loves racing. I'd take Jack Roush, Rick Hendrick, Richard Childress or the Wood Brothers any day of the week over Big Bucks Kaufman. Why? Because they love the racing. They're not going to take their ball and go home when their team isn't winning. Of course, what does it matter what I want...NASCAR is becoming just like the stick-and-ball sports that Brian France has admired for all these years. And just like in the stick-and-ball sports, the fans' opinions don't matter.